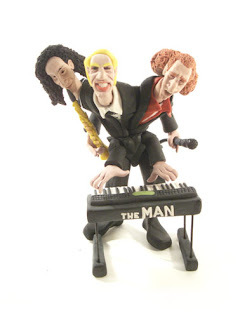 Cardboard shoes, custom-made, fully articulated polymer action figures, detailed landscapes painted on pennies found within those landscapes, media heroes trading cards, wedding cake toppers -- must be a Mike Leavitt art show. The hardest working man in the art world, Leavitt alters the everyday objects among us with his blazing technical skill and wit. You will never look at your world the same way again. Watch out--you're becoming more "arty" by the minute. Andy Warhol 6 from The Art Army series. 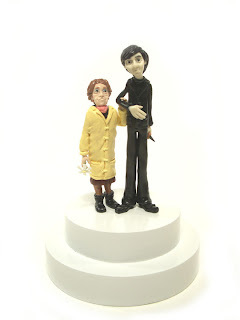 Harold and Maude wedding cake topper. Mt. 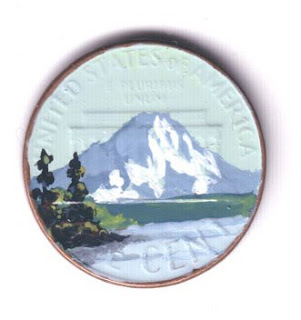 Rainier from Bainbridge Island from the Penny Places® series. 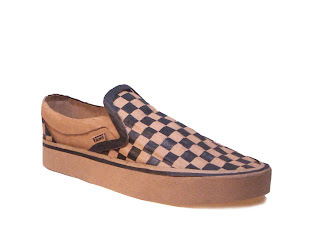 Cardboard Vans from the HipHopjects series. I think this is my favorite. 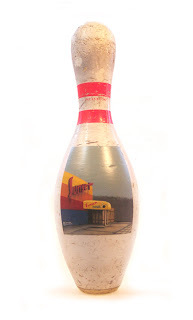 Sunset Bowl painted on an actual pin from the alley. - Mike's cardboard shoe show "Don't Stop Object Shopping" will open March 21 at Fuse Gallery in New York City. - Art shows can be fun! 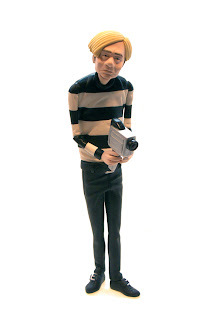 - See Mike Leavitt in his Seattle studio in 3D! Very cool. - As seen on Urban Outfitters: Blog. Where are you going to put your Oscar?